My very broad theme for this year was My Favourite Things. This included a whole range of stuff including songs, people and places. It was fun thinking of which letters my favourite things can fit and it was tough sometimes not including some of my faves. But all in all it was a very successful month of blogging and I enjoyed it a lot. 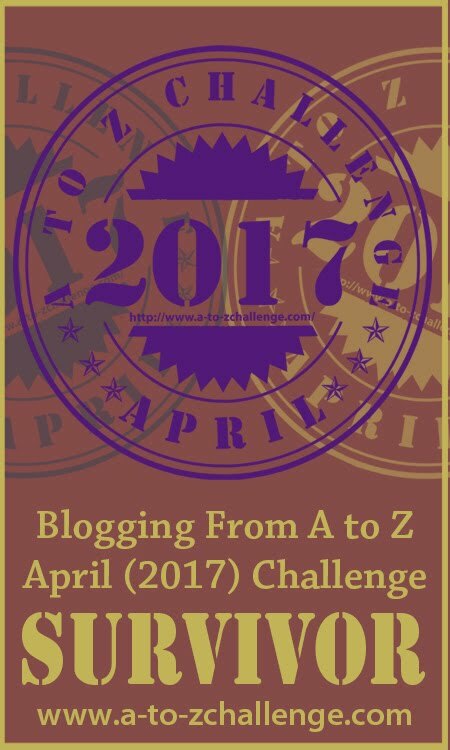 Another April is over and I’ve completed the A-Z Challenge for the fourth year in a row! 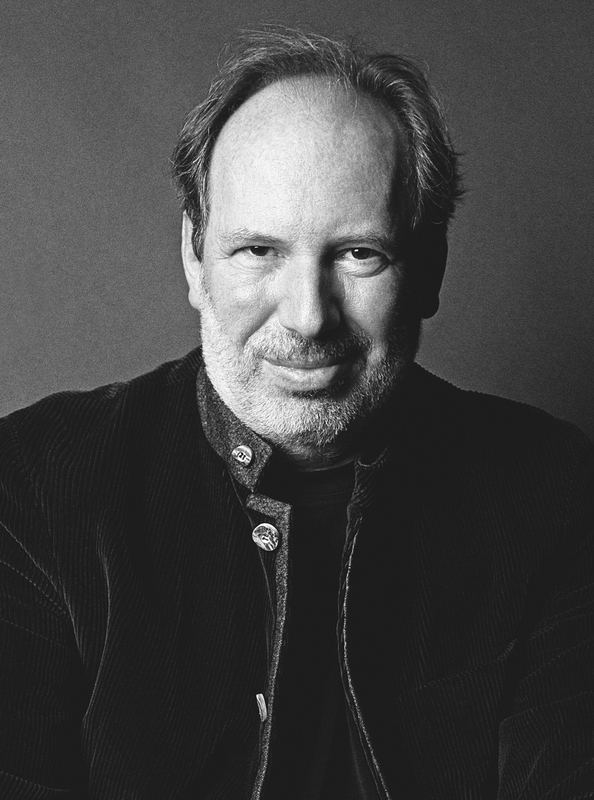 This year, my theme was the rather broad idea of my favourites – that included songs, characters, films, actors, and any random thing that I loved a lot. You can find all my posts here. I received about the same amount of views and visitors as during last year’s challenge but I got almost double the amount of comments and likes, meaning there seemed to be more engagement in what I was posting. This was a nice surprise. My top three posts for the challenge were on Kim Possible, Imagine Dragons and Travelling – showing that I and those who visited my blog really do have an eclectic taste. I was really very organised this time round and had written and scheduled all my posts by 24th April! I had a whole week when I wasn’t panicking about needing to write posts and could instead focus on visiting and commenting on other blogs. I also followed some new blogs which was great and got a few new followers in return. As usual, I wasn’t always great at replying to comments (that’s a fact of life on this blog even when I’m not taking part in the A-Z Challenge) and have some I still need to respond to, but I really appreciated every comment I received. I really enjoyed reading peoples posts this year. There was such a range of subjects written about, from studies on a certain country to old medicine and art and crafting. There’s a lot of talented people taking part in the challenge. Seeing such varied themes this time round has given me some potential ideas for next year – but I won’t get too worried about that just yet! 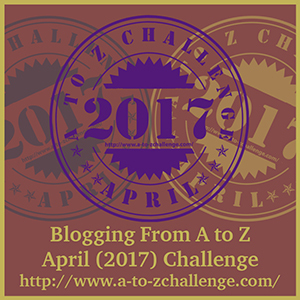 I hope all those who took part in the A-Z Challenge this year enjoyed it and I hope the challenge went well for you. 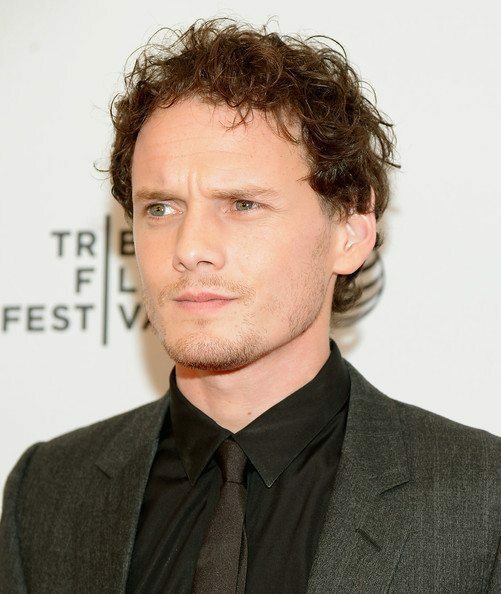 Anton Yelchin was one of the actors I’d go on an actor-binge for, just buy and watch films only because he was in them never really mind the genre or reviews. I watched Charlie Bartlett (2007) that way and Middle of Nowhere (2008) which I watched last year and it really is a delightful film. I think the first film I saw him in was Star Trek (2009) and he made a wonderful Chekov and he was instantly my favourite character. The same year Terminator Salvation was released and while it’s not the most liked film in the franchise, I enjoy it and think Yelchin made the best young-Kyle Reese. It was great because you could see the baseline for the man he’d grow up to be aka Michael Biehn in Terminator (1984). I don’t know where I got it from but downloaded music from Anton Yelchin’s band – The Hammerheads. It’s loud and manic, very different to what I’d usually listen to but I do like it. I do love Yelchin’s vocals, and another great thing about Green Room (2015) besides it being a brilliant film, is you get to see some of Yelchin’s musical talent on screen. Anton Yelchin was a really talented actor and it hurt when I heard of his death via social media. It was one of those that I didn’t believe and was in denial about until the news as being picked up on other sites. It was such a freak accident and I couldn’t believe it. His was the first “celebrity death” that really hit me and made me cry. I think it was not only because he was super talented and one of my favourite actors, but because it was such a shock giving the circumstances of his death and how young he was. I’ve still got unwatched films of his, for an actor so young he’s made a hell of a lot of films, so it’s nice to go back and see him on screen. I always say X-Men was my gateway to everything superhero. I watched the 90’s cartoon (the video below is of the iconic theme song) and then the X-Men: Evolution cartoon was on TV on a Saturday morning (forget about X-Men: Apocalypse, if you want to see the Apocalypse story-line, watch X-Men: Evolution, that show did it amazingly) and then of course are the films. Now the films are a huge rolled up mess of continuity if you think about it too hard. The best way to not give yourself a headache in my opinion is think of it as; the original trilogy (X-Men, X2 and The Last Stand), the First Class trilogy (X-Men: First Class, Days of Future Past and Apocalypse) and then the various Wolverine movies are their own little trilogy. It still doesn’t really make sense as the characters in X-Men: Apocalypse are twenty years older than they were in First Class but the actors all look exactly the same, and Wolverine keeps popping up everywhere so his backstory is a huge mess if you want a straight timeline – but that’s the X-Men movies for you! My favourite X-Men films are X-Men, X2 and Logan. I adore the attack on the school scene in X2, it shows off so many different characters’ powers and you get to see some of Wolverine’s berserker rage that you don’t really get to see that much – until Logan that is when there’s no holding back. I’ve tried reading the X-Men comics but there’s so many timelines and so much history that I’ve found it pretty difficult so far. I’ve read and loved Old Man Logan and I read the iconic Days of Future Past story before the film came out so I think self-contained stories are the way forward for me and X-Men comics. Still, I love everything to do with X-Men – weird, convoluted timelines and all. Denzel Washington is a babe. He’s funny, charming, talented and good-looking. He’s another one of those actors I’ll watch films just because I know he’s in it – that’s how I watched Courage Under Fire (1996), a film that wouldn’t normally be high on my to-watch list. I’ve not yet watched two of his biggest films American Gangster (2007) and Malcolm X (1992) but I do have the DVDs sitting on my shelves. They’re films I really want to watch but feel like I have to be in the mood to really concentrate and give them my full attention when I’m watching them, recently I just like easy-watch kind of films. Still, I’ve seen a lot of Denzel Washington’s filmography. He’s brilliant in Training Day (2001), his performance won him an Oscar, making him the second black actor to win an Academy Award for Best Actor in a Leading Role, I love the dramas he makes and stars in but I also love it when he stars in action films like The Equalizer (2014) and Safe House (2012). The films he made with Tony Scott directing were some of my favourite, especially Unstoppable (2010) which I talked about a few days ago in the A-Z Challenge. Denzel Washington’s won two acting Oscars and been nominated for six other Oscars, he’s been nominated nine times at the Golden Globes and won three times, and he’s been nominated for and won so many different awards in different categories at different institutions it’s hard to count. 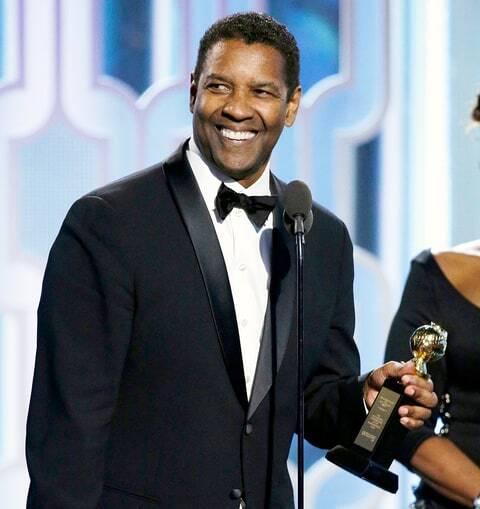 I really do think Denzel Washington is one of the best actors in the business right now. I love this man, he’s one of my favourite actors and just generally seems like a good person. I first saw Viggo Mortensen in The Lord of the Rings trilogy and thanks to his wonderful acting and his beautiful face, Aragorn became my firm favourite character. I love all the stories you hear about the filming of LotR, to be honest the entire cast seem peak #castgoals when it comes to being with the same group of people for years. I love hearing about how Mortensen bought the horse he rode in Lord of the Rings because he fell in love with them and even bought Liv Tyler’s stunt double the horse she rode because she loved it but couldn’t afford to buy the horse herself. 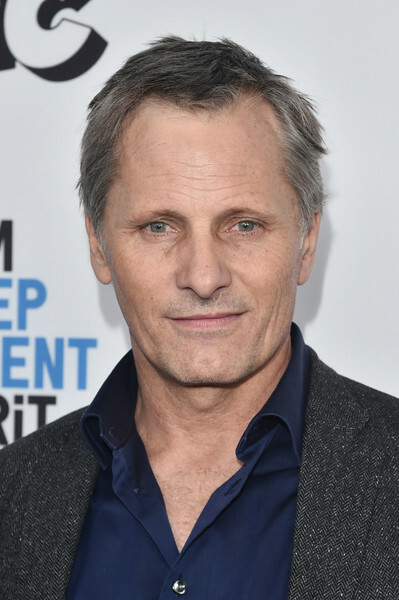 I’ve seen a lot of Viggo Mortensen’s films now and he’s one of those actors where I’ll watch a film just because he’s in it. I have Captain Fantastic sitting unwatched on my shelves and I really want to watch it soon. Besides Lord of the Rings my favourite film of his was Eastern Promises, that film is often a tough watch but Mortensen is captivating in it. One of the best interviews I’ve read with anyone was an Esquire interview with Viggo Mortensen last year. It shows how honest and “normal” he is and his love of art, literature and keeping his private life private. It made me love him even more and his personality shines through.